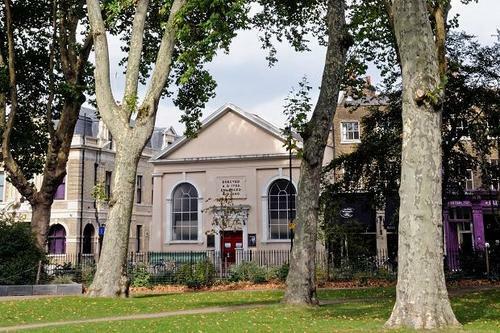 Newington Green Unity Church welcomes weddings with arms open. 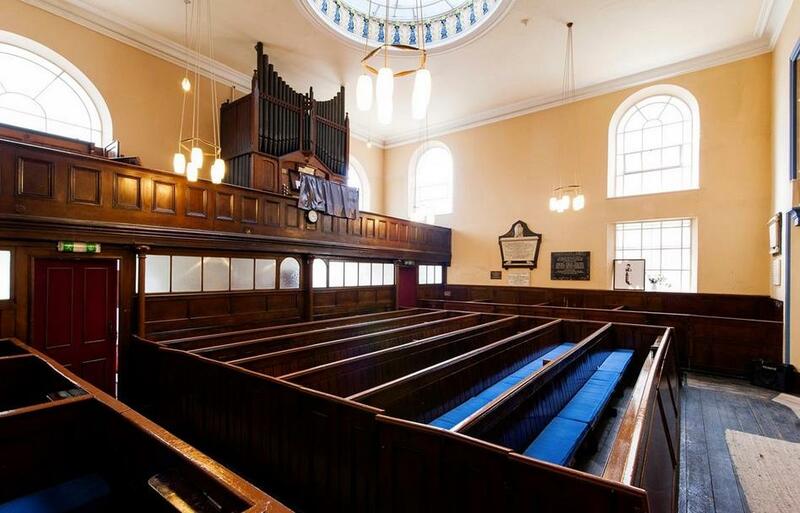 The main hall has the capacity for 150 people in the pews on the ground floor and 20 on the mezzanine floor. The mezzanine is a perfect spot for a small choir if you are planning on having one at your service. 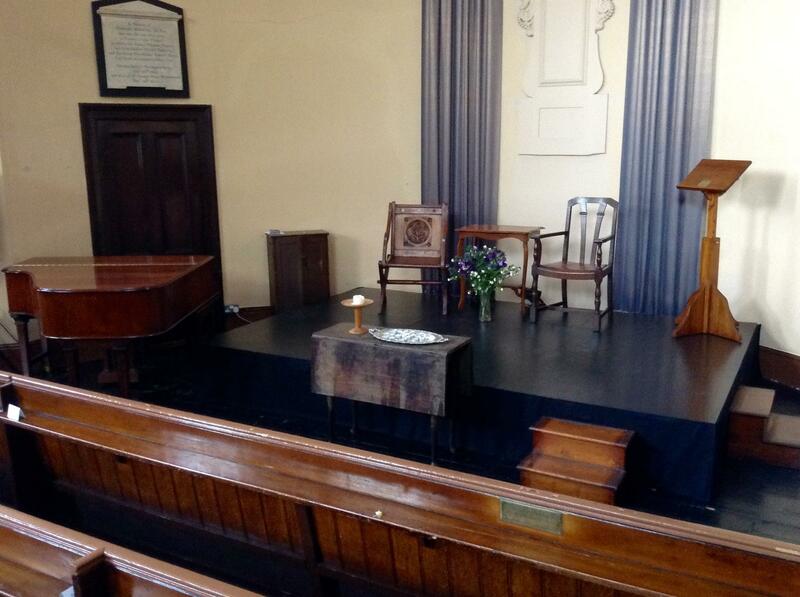 Lots of natural light, from the high set windows, gives the hall a bright and airy atmosphere; its decor adds warmth. The hall has a stage with a grand piano for your use. Please note that the pews cannot be moved around. Ideal for weddings, concerts, performances, rehearsals and film shoots. If you would like to use our venue and hold a non-Unitarian religious ceremony, this package is for you. Bring your own official, including ministers, pastors and priests of other religions. Note that we may not host ceremonies under the rites of Jews, Quakers or Church of England. The fee includes: use of the main hall, the authorised person's attendance and one copy of the marriage certificate. The New Unity halls on Upper Street Islington are set back from the street and nestled in a residential area. As a result amplified music must be 85 decibels or less until 11pm. After 11pm music must be 75 decibels or less. 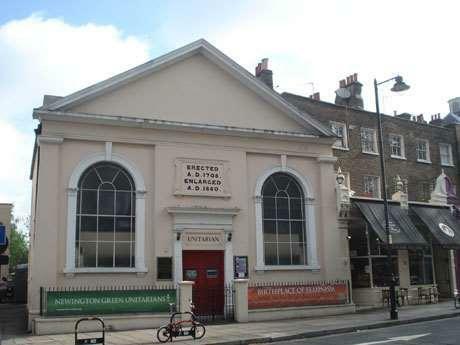 PLEASE NOTE : Newington Green Meeting House has closed for a major heritage refurbishment and will reopen in February 2020. 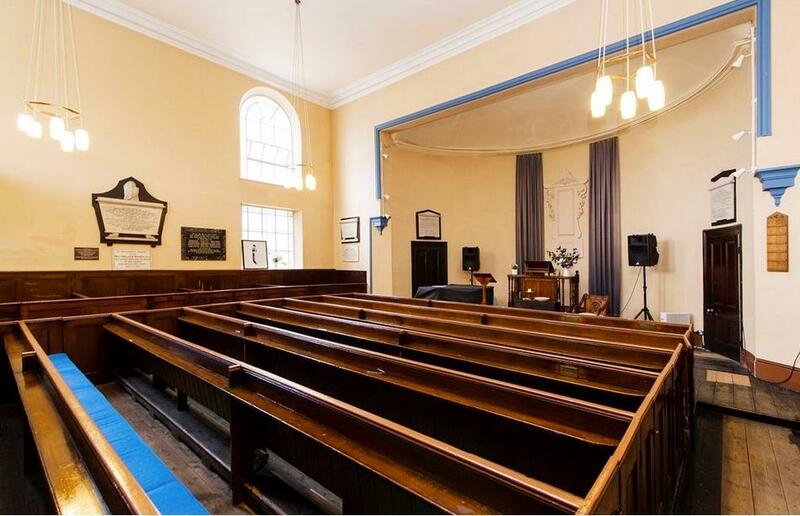 A beautiful and historic Grade II listed church, London's oldest non-conformist place of worship still in use. 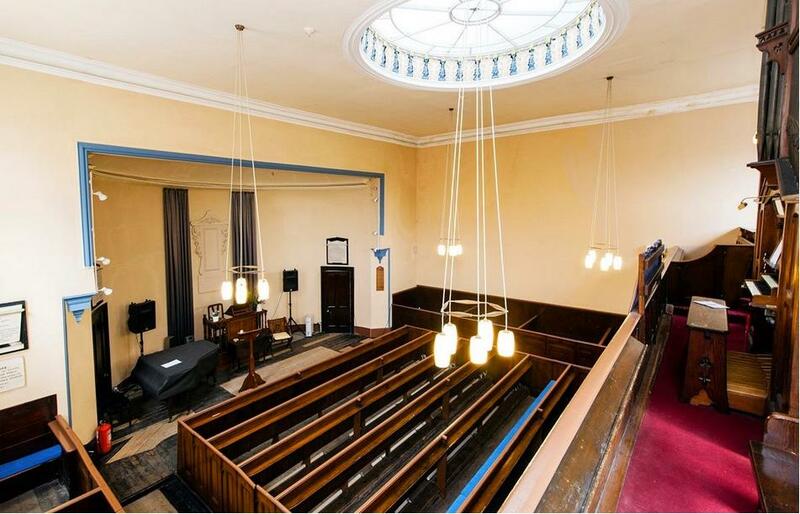 Light, airy and with sensational acoustics, this is a great place for a non-religious wedding ceremony, public meeting or music event.